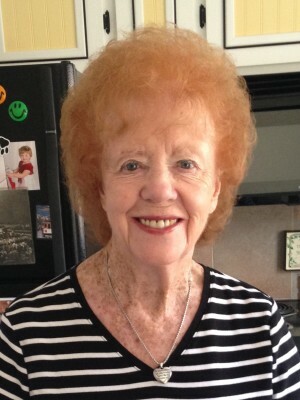 Diane passed away at the age of 94 in San Ramon surrounded by her family. She woke up every morning with a smile and lived to bring sunshine to everyone around her. She was born in Norwich, England in her mother’s home where many of her relatives also lived. She met her husband of 62 yrs., Fred, while he was in the US Air Force, stationed in England during World War II, where daughter Janet was born. Janet and Diane joined a ship full of warbrides and their babies to come to Oakland to reunite with Fred. They moved to Danville in 1956. She worked in sales for many yrs. and retired from McCaulous. She was a proud member of Danville Seniors, Grandmothers Club, San Ramon Historical Society and past member of Danville Valley Steppers, Am. Legion Post #246 and Daughters of the British Empire. Most of all Diane loved her family and friends. She is survived by daughters Jan (Dale), Gloria (Steve), son David (Joyce), 7 grandchildren, 6 great grandchildren, nieces, nephews and cousins. She was preceded in death by Fred and grandson Wayne. Services will be Dec. 14 at 1 p.m. at Wilson & Kratzer, 825 Hartz Way, Danville. In lieu of flowers, please donate to Museum of San Ramon Valley or your favorite charity.